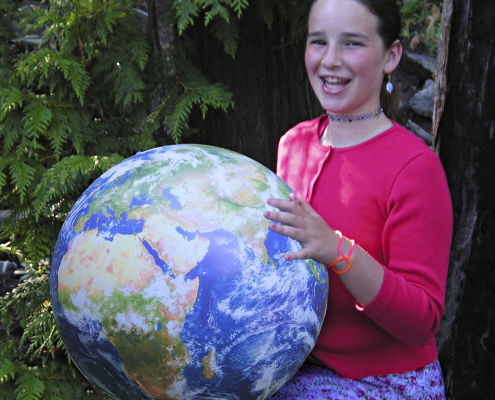 EarthBalls are a wonderful teaching aid. They are a great compliment to the standard globes found in many classrooms. 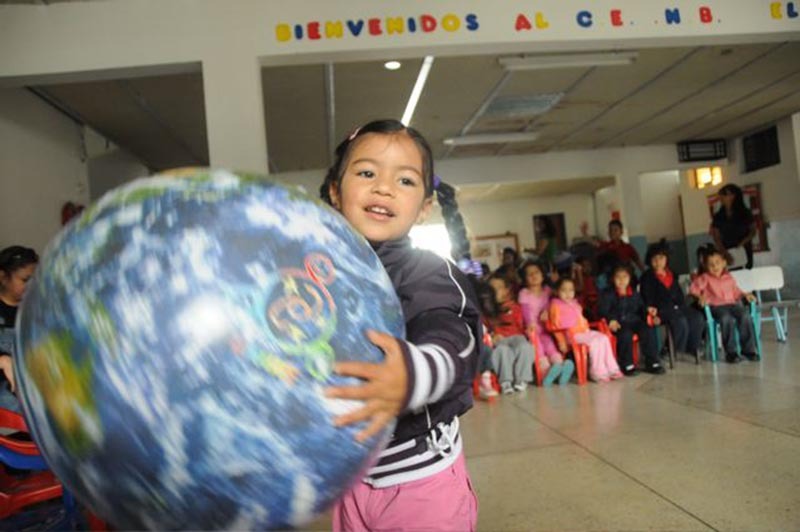 While a political globe enables students to locate countries and cities, only an EarthBall (or a trip to outer space) gives the true perspective of how our home planet actually appears without borders and boundaries. 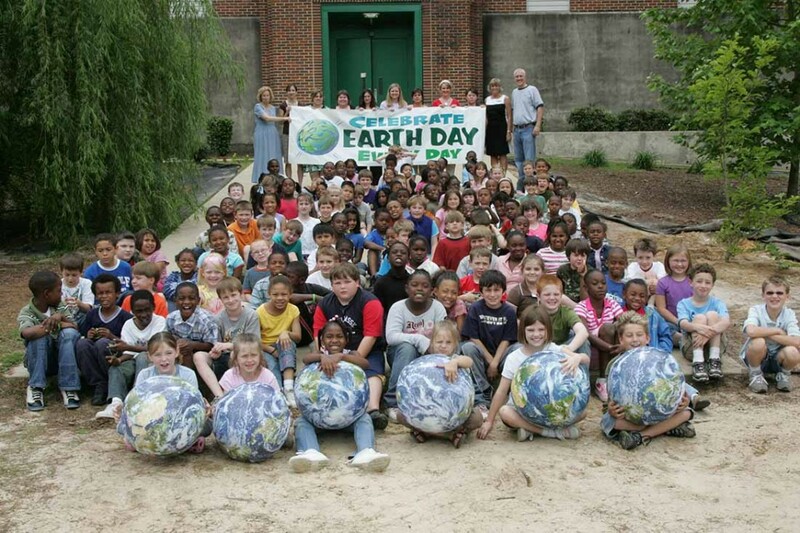 Teachers and students of all ages love EarthBalls. They have discovered its usefulness in a wide range of subjects, from the natural sciences of geography, meteorology and environmental science, to the social sciences of history, culture, exploration, current events, and global relationships. 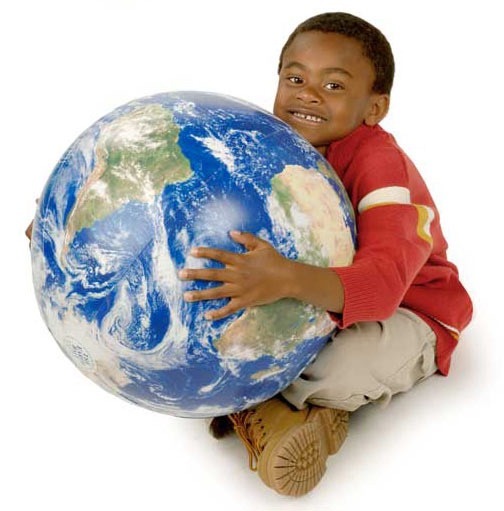 Each and every inflatable EarthBall comes with the 20-page Global Handbook. It is chock full of games, activities and resources for Earth adventurers of all ages. 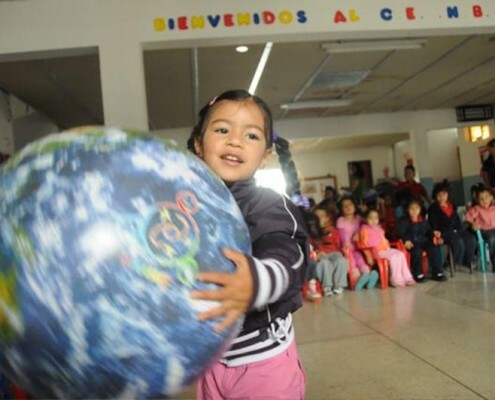 If you want to order just one or a few EarthBalls for your classroom, click on the box to the right. If you are seeking six or more EarthBalls, enough for your whole classroom or school, we’ll be happy to offer you our Teacher’s Special. Call us or email us for details. 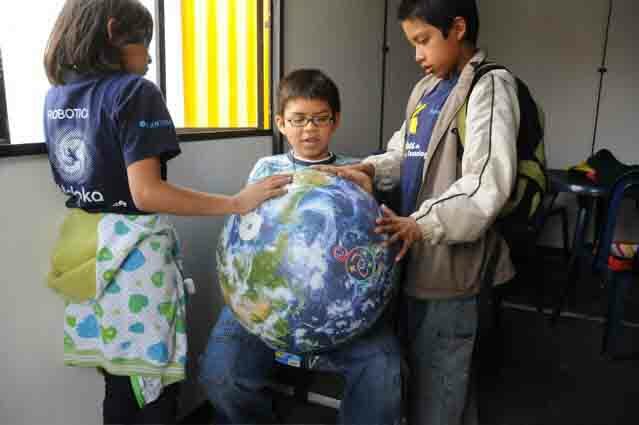 If you want to hang your EarthBall up in your classroom, the 16-inch EarthBall can be hung from the inflation valve at the North Pole and the 1-meter EarthBall has a hanging loop at the North Pole. Here are several lesson plans you can download for free. 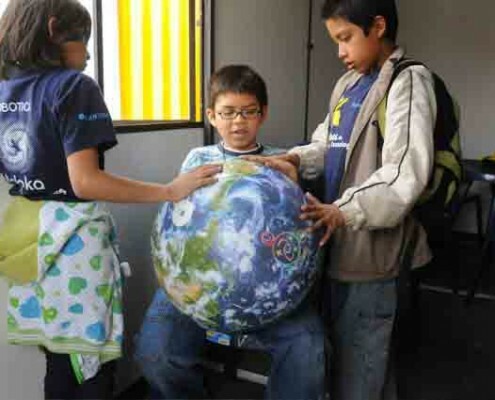 Send us a digital image of you and/or your students teaching with any size EarthBall. 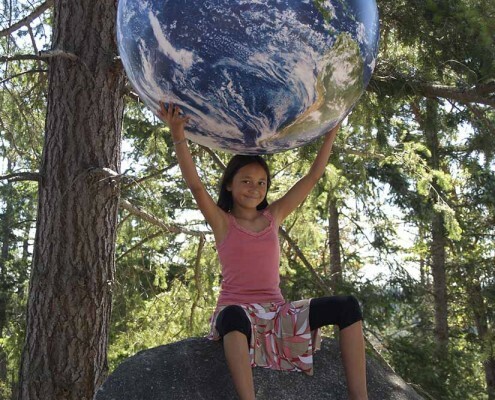 If we use your photo, we’ll send you a free 16 inch EarthBall. 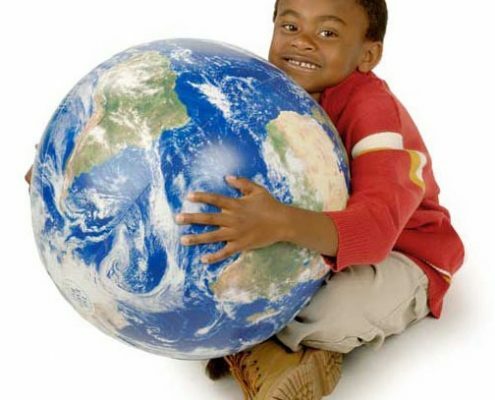 Send us a video of you and/or your students teaching with an EarthBall. 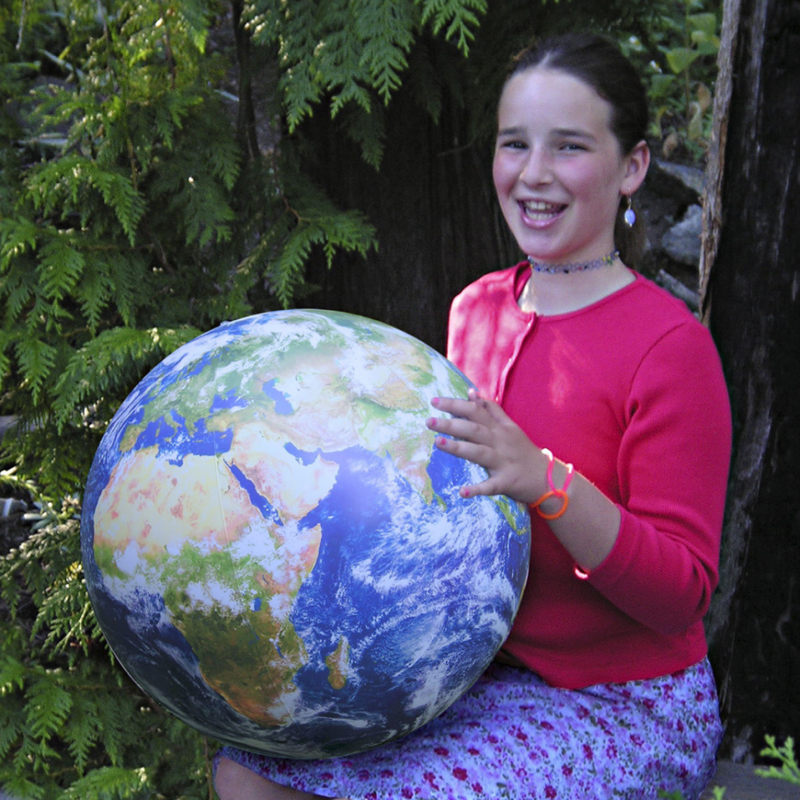 If we use your video, we’ll send you a free 1meter EarthBall (or six 16 inch EarthBalls). 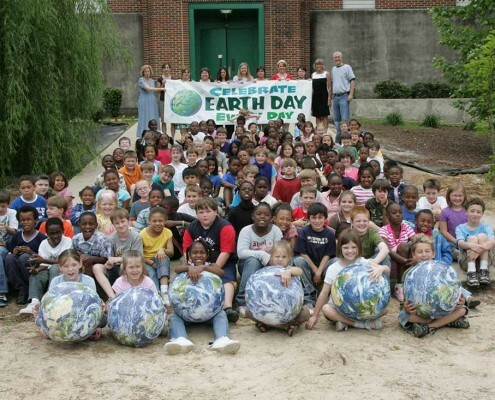 Send us your lesson plan that incorporates EarthBalls. 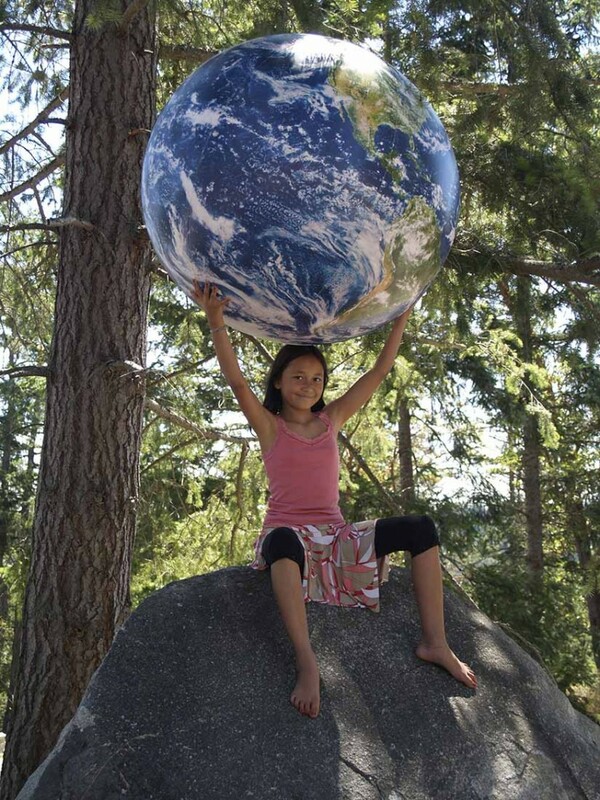 If we use it, we’ll send you a free 1 meter EarthBall (or six 16 inch EarthBalls). Visit our Certification of Compliance page to learn about how Small EarthBalls comply with all product safety regulations.